What is it that makes a person a recognized expert in any field? Listen to the social media expert, Laura Rubinstein, as she shares her savvy wisdom to help you navigate social media to your advantage. 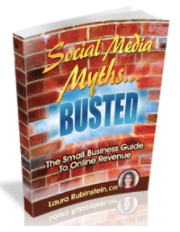 Laura Rubinstein is an award-winning social media strategist. She’s also a marketing consultant, certified hypnotherapist, and best-selling author. She is the creator of the Savvy Social Media Success System and co-founder of the Social Buzz Club, a content amplification network. During the past 20 plus years, Laura has optimized marketing strategies for over 1,000 businesses. She’s the author of the best-selling book Social Media Myths BUSTED: The Small Business Guide To Online Revenue. 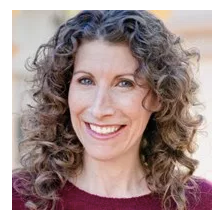 Her writings are featured in a variety of publications including Women Living Consciously, GenConnect.com, YourTango, and her popular TransformToday.com blog. Here’s how to contact Laura to find out more about her services. Join the Social Buzz Club today!